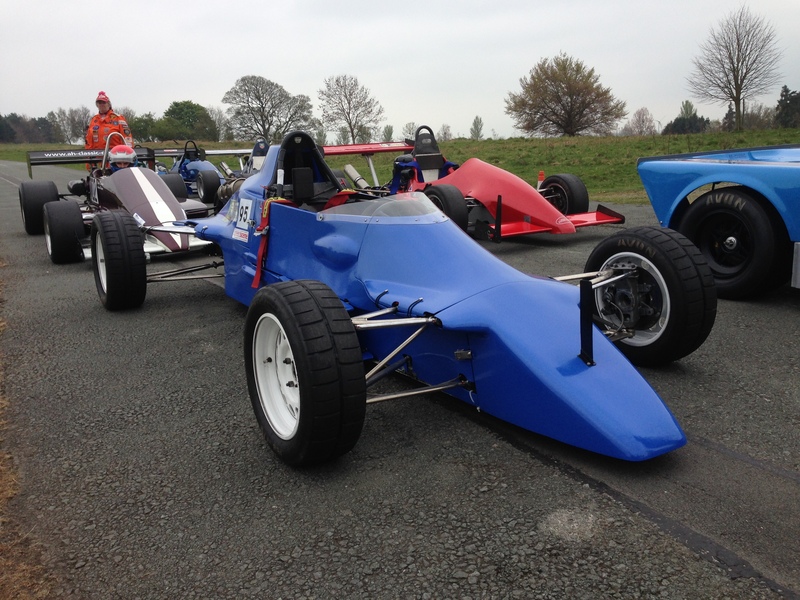 This was my first outing in the Van Diemen this year and apart form the brakes, which were very spongy and probably just need bleeding, I was very pleased with it. The gear change in particular was much improved after Aldon fixed it and it was even simply to engage reverse and back into my space in the paddock. The morning was grey but dry, but because I was a bit worried about stopping the best I did was a time of 64.78, which was a long way off my personal best of 60.76 . In the afternoon it was very wet and I just wasn’t brave enough. Although I got soaked through, it was great to be competing again. However, I’ve decided to sell the Van Diemen and buy a classic roadgoing car. Not sure what yet, but something I can hilllclimb and also do classic rally tours in. I like this photo of me in the Van Diemen. It was taken by Rob Macdonald, an amateur photographer from Stourbridge who has a website called Rob Mac Photography. I think this photo sums up this afternoon. Wet! I recognize the Swallow parked behind you…..
Hi Bob, I too am monitoring classic rally / racers etc. There seems to be a very decent Mini Cooper just listed on a well known auction site if that floats your boat. Although your tastes maybe a little more obscure after reading your comment about a Renault? Bob, correction….it’s not a Cooper, but prepped like one…..